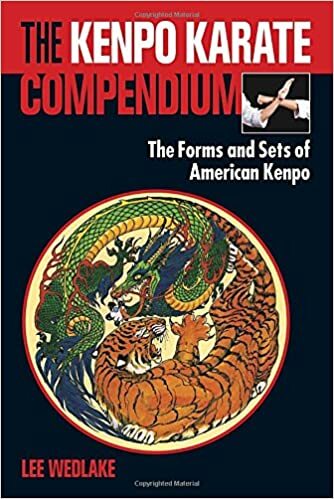 Michael Miller's new book “Kenpo Perspective, The Diversity of American Kenpo,” is a well written collection of the opinions and thoughts of 15 experienced Kenpo teachers. I have enjoyed reading the book and it is a great source of education. It will be a great tool that can be used for years and I am appreciative of the fine work he did in putting this together for our community. There is another great work that is at the publisher as I write this and it is a book written by Ret. LAPD Captain Ron Sanchez named, “The Watchman.” Captain Sanchez has 31 years of experience as a police officer, nearly 40 years as a Kenpo Black Belt and is on the original Ed Parker Family Tree. He is a 6th degree Kenpo black belt. In our world, where terror in the new normal, this book is very timely and it offers solutions to life threatening situations. Kenpo is a problem solving art and this book teaches problem solving solutions such as pre assault, agonistic behaviors, plans to increase the survival of Active Shooters, fear management and addressing the adrenaline affect, cognition and many other plans to handle real life threatening situations. Ron Sanchez first came into our school over 40 years ago and has been in service to God, his family and friends, his community, etc. and now he has written this great book to expand his reach to help more people. As a LAPD officer the motto of his Department was, “To Protect and Serve”, and Ron continues to live that creed. Barbara White and I have been honored to write an endorsement on the back of the book along with Pastor Raul Ries, a very well known Christian leader and martial artist. This would be a great book to read at any time, but the truth is it comes at a time where there is so much potential for danger it is a necessary educational tool that could save lives. We will have the book at our event in March but I believe it could be available even sooner. I bought Mike Miller's book just a few days ago and I've almost finished reading it. It is really a great concept brought to life! I have had the opportunity to meet a few of the seniors in the book, but after reading the book I feel like I've spent hours talking to them. I feel like I have a better understanding of what Kenpo is and who Ed Parker was. I appreciate those who took all the time to answer the questions in the book in such detail so we can have a better sense of what Kenpo is and should be for ourselves, our students and the future generations. Thank you Mr. White, and all the other contributors, for all you do for Kenpo and for giving this gift to us. Reading The Journey I felt like I had a better sense of Kenpo history and the personal stories of some of the key contributors. Reading Kenpo Perspectives I feel like I know the art, and the mind of its creator, Mr. Parker, so much better. I especially enjoyed Mr. Chuck Sullivan's insights into the system of Kenpo and its development. It's been nothing short of inspirational in terms of knowing where my Kenpo should be going and what I should be emphasizing in teaching and passing the art on! I am definitely going to order Michael Miller's book now. I also picked up Mr. Millers book this week and am still working through it. I am enjoying the variety of opinions and especially hearing from one of the "unknowns" in Kenpo Pat Salantri. Now that I know about Capt. Sanchez's book I will definitely be picking one up! I am reading Michael Miller's book now. It's great! Giving many advanced Kenpoists' perspectives on a number of questions that I have been thinking about for quite some time. And yes, Christopher, I also find Pat Salantri's views particularly noteworthy. I am going to start threads on some of these questions. Stay tuned. Has anyone picked up this book? I have not. It appears to be, mostly, a reprinting and redressing of his other forms books; which I already own. It is a compilation of the prior forms books. I had some, but not all, of the prior ones in hard copy, so I got this one in ebook format to have on hand for reference. Definitely worth getting, in my opinion, if you don't already own the earlier books. Kenpo Library - What's in yours?